Mississippi's state school superintendent says the fact that charter schools are struggling with poor to failing grades is to be expected. MPB's Desare Frazier reports. New accountability results show Mississippi's three charter schools, all in Jackson, are struggling. 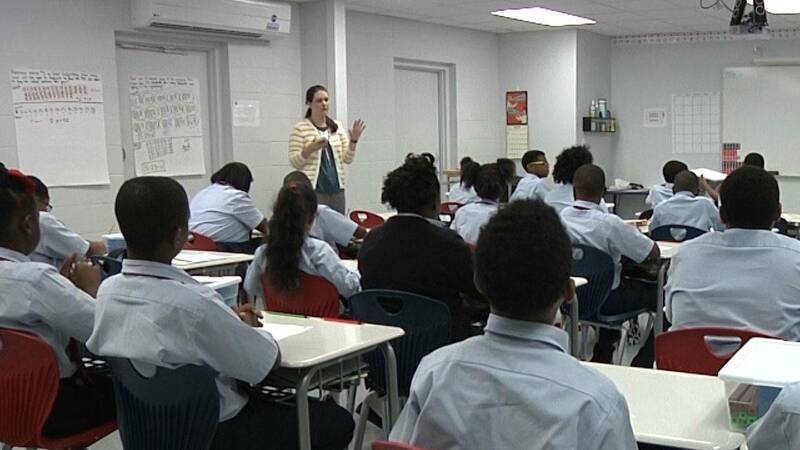 Two schools, Smilow Prep and Reimagine Prep are rated D. Midtown Public Charter School received an F. State School Superintendent Carey Wright says the results aren't a surprise. She discussed the issue following a news luncheon. "You're taking children that are two and three years below grade level and you're putting them all in one school and that's exactly what's happened inside JPS, and so to expect those schools to turnaround in a year or two is an unrealistic expectation," said Wright. Wright is on the Mississippi Charter School Authorizer Board, which reviews requests for charter schools. She says it'll take three to five years to assess the schools' performance. Tommie Cardin is also on the authorizer board. He sees signs of growth in some areas. His take on the accountability results? Don't expect overnight success. "Our mindset should be what do we need to do to help all public schools succeed. For us to speculate about failure is assigning us to failure and that's the wrong mindset," said Cardin. State House Democrat Jarvis Dortch of Jackson, says the charter schools' accountability results don't tell the whole story of the challenges facing educators and families. "The issue is we're not doing enough in this state to tackle poverty and if you have high poverty areas in the state you shouldn't expect these great outcomes, unless there's a lot of intervention being done in that community," said Dortch. Charter schools have five year contracts. A rating of C is required to renew them.